Rose Bridges is a native of Detroit, Michigan, and a Ph.D. student in musicology at the University of Texas at Austin. Her research as a musicologist focuses on film music, particularly Japanese anime soundtracks, and she has also written and presented on popular music and opera studies. Her dissertation will focus on the influence of the film musical and the "musical moment" in recent non-musical films and television series. She has served as a teaching assistant in courses on topics ranging from 20th-century music, to music appreciation for non-majors, to hip-hop, to the history of film music. Bridges recently released her first book, 33 1/3 Japan: Yoko Kanno's Cowboy Bebop Soundtrack (Bloomsbury Academic Press 2017). She is also a regular anime reviewer for Anime News Network, the most popular English-language anime and manga news site. 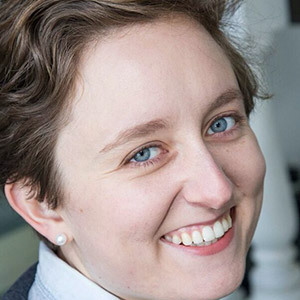 Previously, she wrote news and editorial articles for Autostraddle, a renowned news and lifestyle site for lesbian, bisexual, and queer women. Rose also holds an M.M. in musicology from Boston University, and a B.M. in composition from the Peabody Institute of The Johns Hopkins University. She plays several instruments, including the cello, bass, and viola da gamba. In what little spare time she gets, Rose likes to read novels and comic books, watch old movies, swim, explore Austin's variety of live music offerings, and root for her favorite baseball team, the Detroit Tigers. 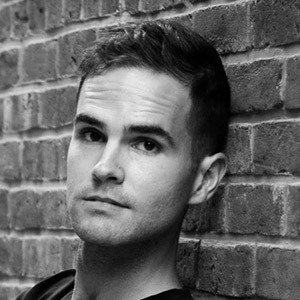 Tim Diovanni is a music writer from Long Island, New York. Recently, he has grown a thick mustache to joke playfully about his Italian-American heritage with his father, who also sports a ‘stache. He studies modern Irish music at the Dublin Institute of Technology and has written articles for Classical Voice North America, the Boston Musical Intelligencer, and Women’s Philharmonic Advocacy, and program notes for the North Shore Symphony Orchestra. Born and raised in the San Francisco Bay Area, Hannah Edgar is a recent graduate of the University of Chicago, where she studied music and English/creative writing. There, she served as deputy editor-in-chief of The Chicago Maroon, helping edit and coordinate stories that were picked up by the Wall Street Journal, Chicago Tribune, Chicago Sun-Times, and more. Previously, she was an editor and critic for the Maroon’s arts section. 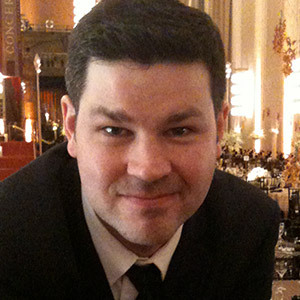 As a freelancer, Edgar has written for Chicago Classical Review and 98.7 WFMT, Chicago’s fine arts station. In 2015, she was named WFMT’s inaugural Andrew Patner Fellow, established in honor of Andrew Patner (1959–2015), longtime critic-at-large for the Sun-Times. In 2017, she worked as an intern for the New York Philharmonic Archives, writing “The History on This Program” features in program books across the Philharmonic’s 2017–18 season. Most recently, she was an intern for Sound Opinions, WBEZ Chicago’s nationally-syndicated music commentary program hosted by Greg Kot and Jim DeRogatis. Edgar’s scholarly writing has appeared in Nota Bene and the Chicago Studies Annual. In her spare time, Edgar plays violin in two chamber groups, listens to podcasts, and explores the broad, beautiful city of Chicago. 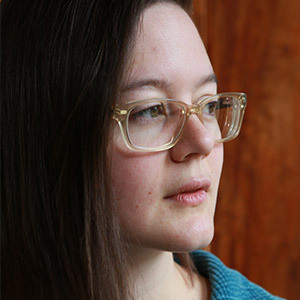 Tamzin Elliott is a composer from northern San Diego, now based in Los Angeles. Both by composing lyrics and collaborating with poets, she is immersed in testing the ways in which text can interlace with music. Her work often lifts itself outside the bounds of genre by subverting traditional parameters of acoustic performance. She has sung her own pieces with Los Angeles groups wildUp and Thornton Edge, as well as San Francisco’s After Everything. In winter of 2018 she premiered her immersive theater work Allways, which is based on the letters of Rachel Carson and Dorothy Freeman. 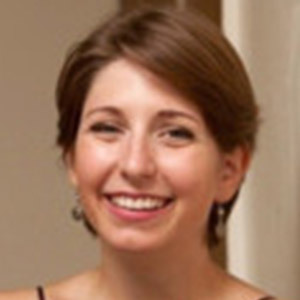 Elliott earned a Master’s in Composition from University of Southern California, where she is currently pursuing a Doctorate in Composition. She received a Bachelor of Music in Composition and a Bachelor of Art in Poetry from Bard College and Conservatory in New York. 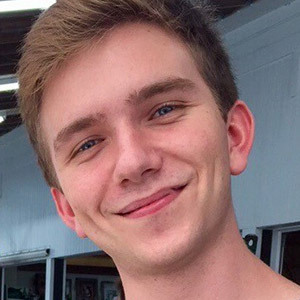 Peter Feher graduated from the San Francisco Conservatory of Music in 2018 with a bachelor’s degree in flute performance. During his undergraduate career, he played in orchestras and opera productions, taught at an area high school, and interned at the San Francisco Classical Voice, where he currently serves as an assistant editor. From 2015 to 2017, he was a member of the San Francisco Symphony Youth Orchestra, building on his high school experience playing in the Cleveland Orchestra Youth Orchestra. Born in southern California but from the Cleveland area, he graduated from the Cleveland Institute of Music’s Young Artist Program in 2015. Through his undergraduate coursework, Feher developed a taste for writing generally, and musicology and music criticism in particular. He is spending this year studying French and Russian languages. His major teachers include Tim Day (San Francisco Symphony), Mary Kay Fink (Cleveland Orchestra), and Katie DeJongh (CIM Preparatory Division). Patrick Jankowski is a horn player, writer, and public speaker with omnivorous interests. 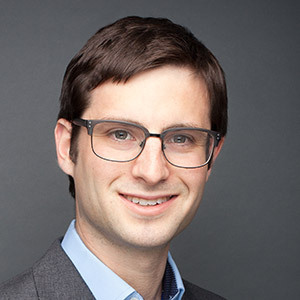 His investigation of musical and cinematic intersections in the French avant-garde won the Friedmann Thesis Prize at Yale, and his writing can be read or skipped over in many program booklets and websites. Jankowski has been a resident writer for the New Haven Symphony Orchestra, Chamber Music Northwest, One Found Sound, and Norfolk Music Festival, among other organizations, and writes musicology and music theory texts for McGraw-Hill Higher Education. He lectures at Hunter College in New York City, where he leads seminars on perception, aesthetics, and arts impact. Jankowski is on the horn faculty of the Music Advancement Program at The Juilliard School, and is a former teaching artist with the New York Philharmonic and Yale Music in Schools Initiative. He is a founding member of New York-based wind quintet SoundMind, Annapolis Chamber Music, and San Francisco’s conductorless chamber orchestra One Found Sound, spending most remaining time on subways and airplanes. He has premiered new compositions with MATA, Contemporaneous, the New York Composers’ Circle, and Curiosity Cabinet, among others, and has collaborated with composers to debut a number of new works for chamber ensemble. He adapts music from multiple genres for performance with SoundMind and other ensembles, occasionally producing something decent. Jankowski is completing the Doctorate of Musical Arts degree at Yale, where he studies horn with William Purvis. He lives among trees in Connecticut with his partner and their three-legged German Shepherd Scarlett, who interrupted the writing of this biography several times. Alice Koeninger is from Toledo, Ohio, and is in her third year at Oberlin College. 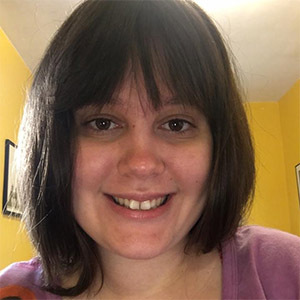 She recently completed an internship with ClevelandClassical.com as a Nicholas R. Jones Summer Fellow, where she gained experience previewing and reviewing live concerts, as well as interviewing musicians and conducting research in The Cleveland Orchestra archives. This fall, she will serve as editor-in-chief of Oberlin’s Plum Creek Review literary magazine. She has had poems published in Plum Creek and New York University’s literary magazine, The Underground. At Oberlin, Koeninger is a creative writing major and is in the process of creating her own interdisciplinary major centered around popular music studies. The major will focus on the sociology and culture of music and will include classes such as Pop Music and the Media and the Sociology of Pop Culture. She has taken writing workshops on fiction and poetry, nonfiction, and playwriting in the College and a course on music criticism in the Conservatory. Alice is currently beginning her own music blog and hopes that music criticism will feature heavily in her career after college. She plans on centering her career around journalistic writing, but also intends to publish books of poetry, essays, and a novel. She strongly believes in good editing. John Masko, originally of Providence, RI, currently works as assistant conductor of the San Francisco Conservatory Orchestra and the Diablo Symphony Orchestra in Walnut Creek, CA. Formerly, he held positions as assistant conductor of the Metrowest Symphony Orchestra in Framingham, MA and the Yale Medical Symphony Orchestra in New Haven, CT. John has recently collaborated with the San Francisco Symphony Orchestra as an assistant and cover conductor, working with guests Osmo Vänskä and Krzysztof Urbanski. John regularly works with composers in the premieres of their work – most recently conducting Peter Engelbert’s Vagaries in October 2017 and Matthew Boehler’s cantata Two Friends in May 2017. Active as an opera conductor, he music directed and conducted two fully-staged undergraduate operas while an undergraduate at Yale – Die Fledermaus in the winter of 2014 and The Pirates of Penzance the previous year. This past summer, he assistant conducted a production of Britten’s Peter Grimes at the Dartington Festival in Devon, England, working alongside music director Sian Edwards. John is also active as a music writer and critic. 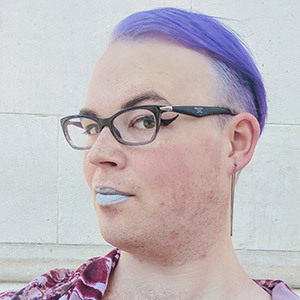 He is the San Francisco-based opera reviewer for Parterre Box. In June 2018, he will be celebrating his second year with Parterre with a series of reviews of its production of Wagner’s Ring Cycle. He is winner of the 2016 Rubin Institute Audience Review Prize for music criticism. He is pursuing a master’s degree in orchestral conducting at the San Francisco Conservatory of Music, where he studies with Dr. Eric Dudley. Jason McCool comes from a long line of people who have been asked, "Is that your real last name?" 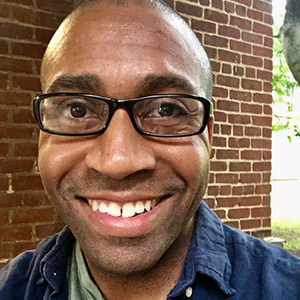 A PhD candidate in Historical Musicology at Boston University, writing a dissertation on Hamilton: An American Musical, Jason has given papers on topics including Hamilton, Irish singing, and film music at Boston University, Maynooth University (Ireland), University of North Carolina–Asheville, University of New Hampshire, and Harvard, and in the Fall of 2018, he will teach courses at Merrimack College and Boston College. He holds a degree in jazz trumpet performance from the Eastman School of Music, and a Master's in Historical Musicology from the University of Maryland, with a thesis on the aesthetics of pianist Keith Jarrett. McCool works as the Head of Arts & Culture at Aeronaut Brewery in Somerville, MA, where in 2017 he launched the pindrop sessions, a classical(ish) event series presented with WGBH and WCRB; he also programs, produces, and MCs Aeronaut's popular summer musical beer gardens. In 2016, Jason was invited as one of 50 state arts leaders to sit on the MASSCreative Leadership Council. He has toured as trumpet player and singer with the Tommy Dorsey Orchestra, given pre-concert talks for the Baltimore Symphony, worked as a social media consultant for orchestras and other arts organizations, and produced many irreverent historical-themed cocktail parties for jaded hipsters. McCool has been a director and actor (member of Actors' Equity) in New York City, Washington, D.C., and Boston, and was the Artistic Director of Solas Nua in Boston, focusing on contemporary Irish theater. He has contributed music and theater reviews for The Pink Line Project in Washington, DC, and The Boston Musical Intelligencer. While playing piano, writing, reading, spending time conversing with friends, and visiting the art museum may seem like only slightly related occupations, Grace Odell sees them all as fundamentally connected and, collectively, as fundamentally hers. She can trace most of her interests back to the central idea of communication. Creating art and engaging with words have shaped Odell not only by taking up her time, but also through the diverse worlds of ideas she has encountered through spending so much time with music, books, paintings, and people. She is just as likely to ponder why a certain Brahms intermezzo makes her feel a certain way as she is to analyze the differences between the ways people communicate in her home state of South Carolina versus her current residence, Kansas City Missouri. Odell’s chosen focus, however, is music, and through performing it, writing, and reading about it, teaching it, and collaborating on it with performers, composers, and researchers, she seeks to be a holistic musician and communicator. 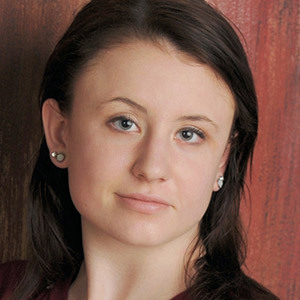 She currently studies at the University of Missouri Kansas City Conservatory of Music and Dance where she is pursuing master’s degrees in both piano and musicology. Her performance-based musicological interests have led her to many exciting projects including creating seven different versions of program notes for her first master’s degree recital, exploring women pianists touring in nineteenth- and twentieth-century America, and working on her thesis about the British rock band Queen. 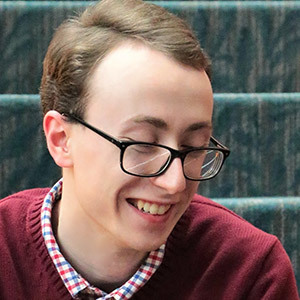 Rory O’Donoghue is a fifth-year double-degree student at Oberlin College studying Clarinet Performance (BM) and Comparative Literature (BA), focusing on modern Chinese literature. His honors thesis explores issues of Orientalism and cultural hybridity in both the musical score and libretto of Puccini’s Turandot. He hopes to keep clarinet close while pursuing a future career in cross-cultural literary studies. 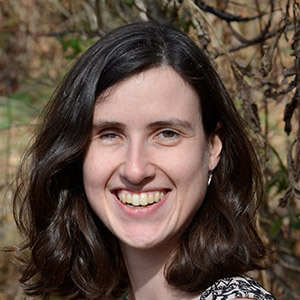 An avid language learner, O’Donoghue is fluent in Mandarin Chinese and has received numerous grants for language and cultural study in China, including the China Government Scholarship, Taiwan US Sister Alliance (TUSA) Scholarship, and a Shansi Research Grant. Proudly 9th -generation Alaskan, Rory grew up toddling around a tiny log cabin in rural Alaska with 30 sled dogs and no running water. Parker Ramsay is internationally recognized as one of the most accomplished and versatile musicians of his generation. Hailed by BBC Music Magazine as a “model of intelligence” and the New York Times as “playing with verve,” he maintains an active solo career on three instruments: harp, organ and harpsichord. At age seventeen, Parker was awarded the organ scholarship at King’s College, Cambridge where he served under the direction of Stephen Cleobury while pursuing his undergraduate studies in political history. His tenure at King’s included performing in the Festival of Nine Lessons and Carols in 2012, as well as six international tours and four recordings. 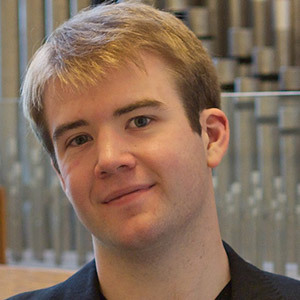 In 2014, he was awarded First Prize at the Amsterdam International Organ Competition. In addition to his work as a performer, he works as a staff writer for VAN Magazine (Berlin) and runs a classical music blog, Harping On: Thoughts from a Recovering Organist. He holds degrees from Cambridge University, Oberlin Conservatory of Music, and The Juilliard School. Madison Schindele recently completed her master’s degree in Historical Musicology at Goldsmiths, University of London. 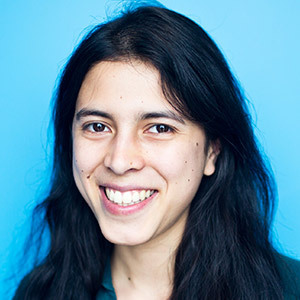 With a focus on feminist musicology and 19th-century German lieder, Schindele’s dissertation aims to answer the ever-persistent question: “Can and should a woman sing Schubert’s Winterreise?” In addition to her studies, Schindele not only attends and reviews as many concerts as she physically can, but is also involved in London’s music scene, singing soprano in the London Symphony Chorus. Prior to moving to London, Schindele graduated from Oberlin Conservatory of Music where she studied classical voice and musicology. Hailing from a big Greek family in New York, Schindele enjoys cooking and sifting through London flea markets when she’s not camping out at the British Library! 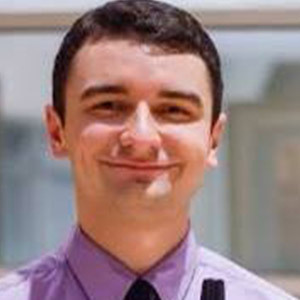 Praised for his “standout” performances and “elegant solos” (The Gazette, Colorado Springs), flutist Evan Pengra Sult is a graduate student at the San Francisco Conservatory of Music where he studies with Tim Day. Previously, he earned his Bachelor of Music (with Highest Distinction) and a Performer’s Certificate from the Eastman School of Music. His principal teachers are Bonita Boyd, Anne Harrow, Zart Dombourian-Eby, and Bonnie Blanchard. He has taken master classes with Elizabeth Rowe, Jeanne Baxtresser, Leone Buyse, Marianne Gedigian, and Demarre McGill, among others. While at Eastman, Pengra Sult performed with all of the school’s major ensembles, including in the Eastman Philharmonia’s 2016 performance at Alice Tully Hall. He has attended a variety of summer festivals, including the Tanglewood Festival of Contemporary Music, Colorado College Music Festival, National Orchestral Institute, and Texas Music Festival. Among his numerous awards are the Seattle Flute Society’s Young Artist Competition (2nd Place, 2016), the Frank and Lu Horsfall Competition (1st Place, 2013 & 2011) and the Seattle Youth Symphony Inspiration Award (2013). He has also been a featured guest on 98.1 Classical KING FM’s popular program Northwest Focus Live! Most recently, he was inducted into the only national music honor society, Pi Kappa Lambda. Alexander Sutton is a graduate student pursuing a Ph.D. in sociology at the University of Virginia. Broadly, Sutton’s research seeks to understand the nature of artistic creativity, aesthetics, and material culture, and how each contributes to the production of aesthetic culture, knowledge and socio-cultural discourse. Specifically, his current projects focus on the tensions between individual artistic expression and normative institutional forces that mediate and influence the creative processes and identity formation of contemporary art music composers. Currently under review for publication, his paper The Composition of Success: Competition and the Creative Self in Contemporary Art Music investigates the role that juried composition contests play in shaping the professionalizing activities and early-stage career trajectories of new music composers. In his essay, Toward a Unified Theory: Hip Hop, Technology and Aesthetics, he argues for the possibility of a unified aesthetic theory of experimental electronic music that foregrounds the contributions of turntablism and sampling techniques in rap music. His other writings cover topics as wide ranging as the intersection of music, politics and self-concept, psycho-analytic film criticism, and avant-garde aesthetics. 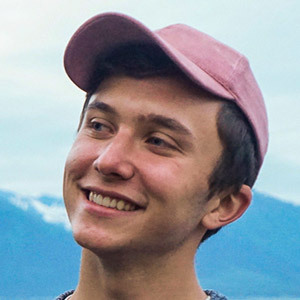 In addition to pursuing academics, it has also been Sutton’s dream to pursue music, film, and cultural criticism as a form of personal expression. When he’s not busy doing research, writing, or teaching, he loves binge watching Netflix and bad reality television, being a drum corps fanatic, and squeezing in some quality cuddle time with his pug, Scotty. 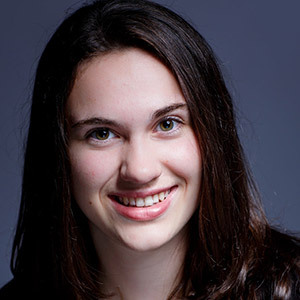 Amanda Vosburgh is a senior at Yale University studying History of Art and Humanities. She performs as a cellist with various Yale ensembles and serves as the principal cellist of the Yale Undergraduate Chamber Orchestra. She has enjoyed collaborations with professional ensembles including the International Contemporary Ensemble (ICE) and the Chicagoland Pops Orchestra. She is an alumnus of the Castleman Quartet Program, the Brevard Music Center, and the Aspen Music Festival. In an administrative capacity, she serves on the board of the Yale Undergraduate Chamber Orchestra and the Opera Theatre of Yale College. She will direct the Opera Theatre of Yale College’s spring 2019 production of Aaron Copland's The Tender Land.